Project Management is the application of processes, methods, knowledge, skills and experience to achieve the project objectives. Weird !!. Not at all, you will find later that PM is an essential skill that you have to demonstrate and the easiest to acquire since you have the fundamentals. Engineers always think that managing a project, setting deadlines and managing resources is the easiest part, and their watchful part is the technical part. They usually are able to manage projects in an arbitrary manner, but they can’t relate some failures to their bad management because They can’t relate failure to what they don’t know. Once you learn these PM skills, your productivity get doubled and more success got achieved as planned. Learning PM is like a shortcut over some failures and obstacles. 1. Mastering the fundamentals of project management. 2. The agility of interpersonal communication skills. Through this series you will master the fundamentals of PM, so you can get time to deal with crazy workers, stakeholders or even a pull request for a project before its deadline. You can nail such request of you have a good plan with timeline and schedules. Once you mastered these fundamentals you will be able to deal with these requests and work on your soft skills. Project Management Artifacts are the fundamentals of PM like the project schedule, the risk register, the Change Control Board, and the communications plan, etc.. Once you learn these fundamentals you can manage any project. It will be like driving any car since you know the fundamentals of car driving and later you drive it to wherever you want. Initiating Phase is where project objectives and constraints are identified and they usually identified by a process called scoping. Planning Phase is where the project team develop their overall plan, how they will execute it, the needed resources and project deliverers. Here most of the PM artifacts are developed. Executing Phase is where the work you need to do for releasing your project. Now, We have explained why should we study PM, and I recommend all senior levels study it. It can help you plan well even for your daily life work. The next post will be about the Initiation Phase. During each post we will introduce a checklist that represents the minimum work done in each phase. 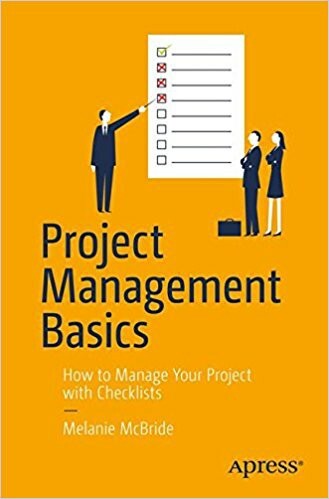 Project Management Basics | Introduction was originally published in xWARE Integrated Solutions on Medium, where people are continuing the conversation by highlighting and responding to this story.